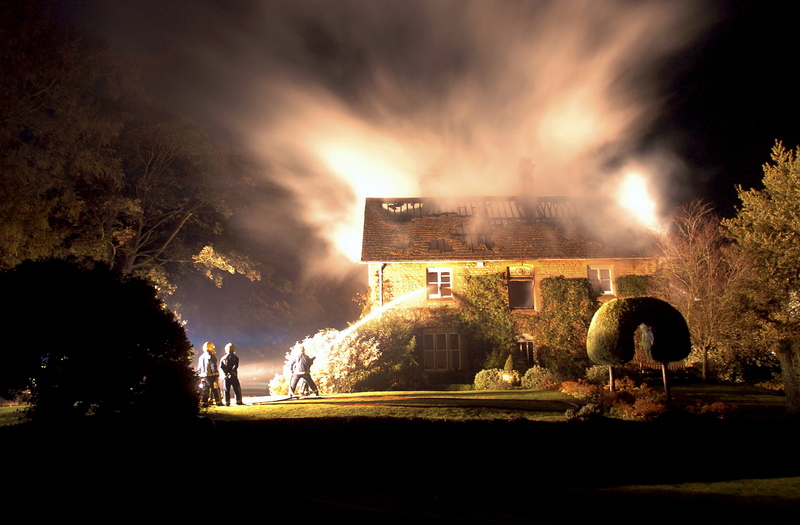 Firefighters at the scene of a major fire at Hampnett Manor,near Northleach, in the early hours of Thursday morning. I’ve photographed many fires but this picture came about by having a good working relationship with the emergency services. I was told to wait 10 mins and was then taken to a safe spot where I had great access to the fire. The result was this haunting image.